Our client, a premier Mill Valley based architectural firm, is seeking a Senior Drafter with 7-10+ years experience for high-end custom residential projects with an emphasis on attention to detail and quality building performance. • Prepare construction documents, working with the Project Manager and Job Captain. • Candidate must understand both exterior and interior construction detailing and be able to communicate clearly with team members with quick hand sketches of proposed views of building sections and details to be drafted. • Candidate must be comfortable using office standards to develop and describe their drawing set organization and layout, individual sheet layouts, and drafting layout process for entire drawings set. Katy has been recruiting for the A/E/C industry for the past 10 years. She grew up in the East Bay Area and graduated from Saint Mary’s College in Moraga. 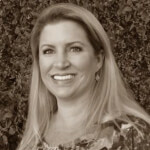 Katy enjoys hiking, camping, jet skiing and scorekeeping for her daughters’ little league softball team.